The Janod Hat Box puzzles are loved around the world! 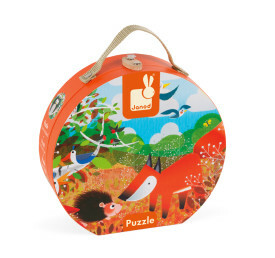 Janod Hat Box Puzzle - Forest gives you an up close view of nature as a fox, hedgehog, owl, birds and insects all go about their day in the forest! 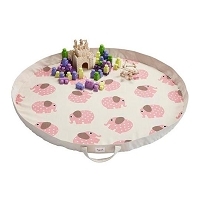 24 pieces create an awesome adventure jigsaw that’s colorful and fun to explore. The Janod Hat Box Puzzle series is well-loved around the world! The box has a handle attached so you can take it wherever you go!